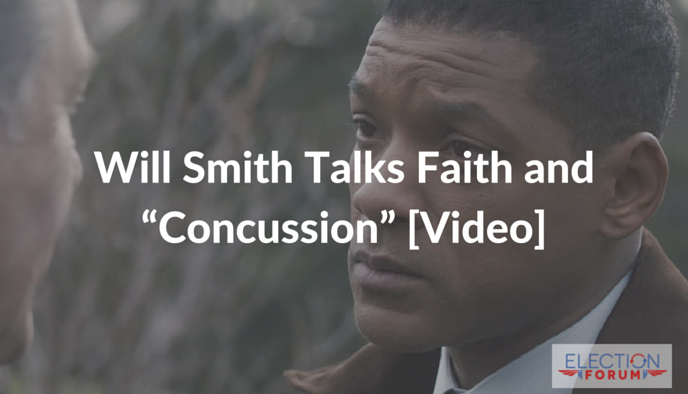 In his latest turn on the Silver Screen, Will Smith plays forensic pathologist and devout Christian Dr. Bennet Omalu in the film “Concussion”. The movie follows Omalu’s tireless efforts to research how football leads to irreversible brain damage among players. For Omalu, his faith drove him to investigate then expose the correlation of higher incidences of brain injuries with football – despite powerful and vocal opposition determined to stop him. If nothing else, the Nigerian pathologist, and now the subject of a Hollywood feature, has proved that science and faith can not only coexist, but complement each other. decipled by a Godly man and that this isn’t just a shallow thing. Wasn’t his wife into Scientology?